Why is Electrical Safety Important in Industrial Work? NTT Inc. - Why is Electrical Safety Important in Industrial Work? Electrical safety is the practice of both understanding the hazards inherent to working with or near sources of electricity and mitigating the dangers associated with them. Examples are high voltage batteries, live wires, powerful electrical equipment, and power transformers. A lot of common sense factors into electrical safety (don’t stick a fork in an electrical outlet), but in many cases, electricity behaves in ways that are counterintuitive and require extensive electrical safety training to be able to predict. Why Does Electrical Safety Matter? Because we all rely on electricity to go about our everyday lives, it’s easy to forget that electricity is, in fact, a potentially dangerous thing. It takes a lot of energy to power a building, or even a single room. It’s no exaggeration to say that lives are at stake with electrical safety; a strong enough current passing through someone’s body can kill them in an instant or cause serious injury. Ensuring that your employees are sufficiently trained in electrical safety is your responsibility and should be a top priority. While paying for employee training may seem onerous, it is far less expensive than dealing with incident-related costs after the fact. Employers in these fields are responsible for their employees’ training and can be held accountable for accidents that occur due to insufficient electrical safety training. Anyone who works with or near live wires should know the basic principles of electricity – OSHA’s quick card for electrical safety is a good resource to keep in your back pocket – well enough to assess the hazards they may face and how to deal with them. The single most important practice should be to always use caution, and to always assume that the wires you’re working with are live and energized to a lethal current and voltage. Who Should Be Trained for Electrical Safety? Regular training and electrical safety qualification (employer certification of employee) is par for the course – in fact, it’s explicitly required – in the field. People who work with electricity and their employers benefit from electrical safety training and seminars immensely; it prevents employees from experiencing severe electrical injuries, and saves businesses from the associated liabilities. 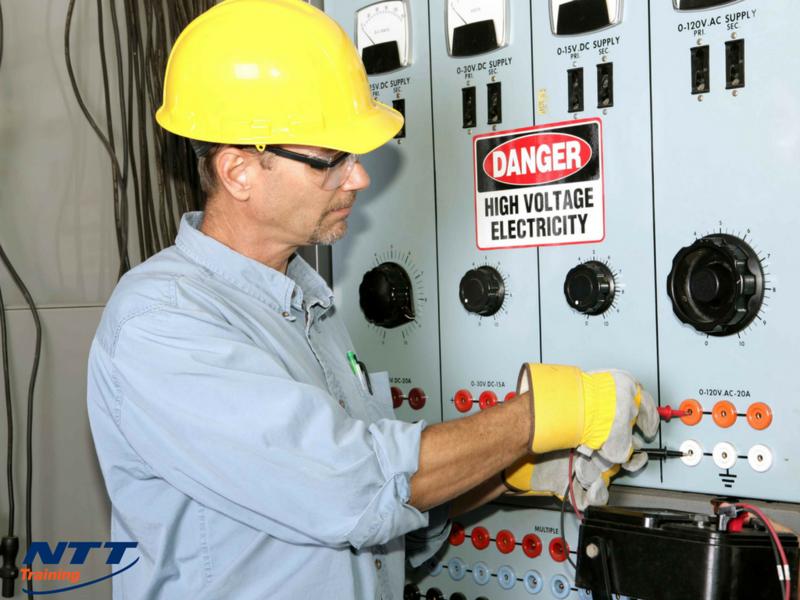 If you are such an employer and would like to see more information regarding electrical safety training for your employees, contact NTT Inc. today. You can learn everything you need to about trainings like hands-on NFPA 70E: Arc Flash Electrical Safety seminars and others!